An amazing find and Welcome home! Situated on over 6.7 acres, this modern decor four bedroom 2 bath updated home features wonderful light and views from the kitchen and 3 season room overlooking the large deck and pool area. Storage abounds in this home, cupboards, cabinet and closets allow for abundant storage. Come tour this efficient floor plan and appreciate the use of space. Upper and lower floors both feature large family rooms. 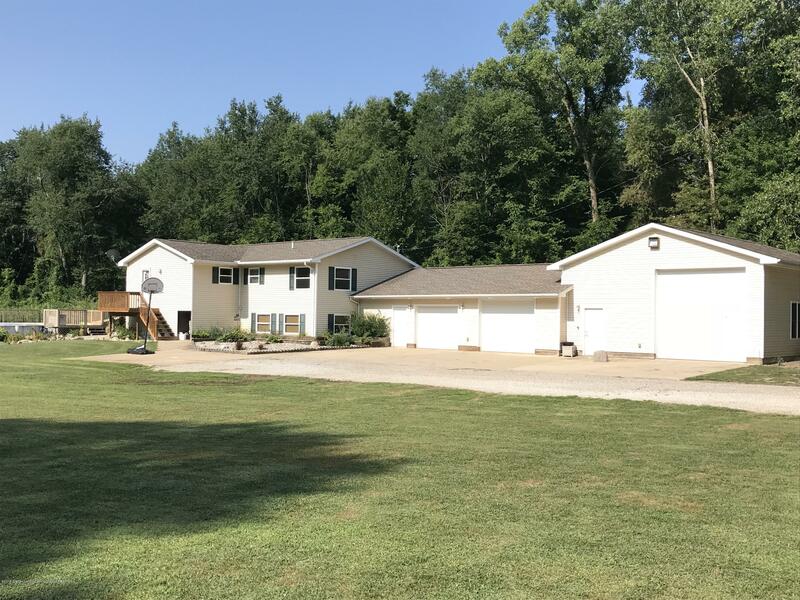 An attached oversized 2.5 car garage and an additional 30x40 workshop- pole barn affords impressive space for toys and recreational vehicles. Walk the trails and enjoy the wooded sections of this country parcel. Olivet Schools. Come take a tour and enjoy this quiet country location that affords easy access to main roads. An exceptional find!